KMT Waterjet wants to always provide its customers with the latest news from the world of waterjet cutting. In our quarterly newsletter Tech NEWS, you can find thorough information on recent product developments concerning high pressure pumps, cutting heads or high pressure accessories as well as customer service information or advice on how to optimize your waterjet cutting machine. Below, you can find the latest issue and our newsletter archive. The KMT Tech NEWS are issued quarterly and sent by e-mail to our customers. Subscribe here if you wish to receive your own copy of the KMT Tech NEWS newsletter. Last autumn KMT Waterjet Systems presented its two newest high pressure pumps for waterjet cutting at the EuroBLECH industrial fair in Hannover: The models STREAMLINE PRO-III and TRILINE TL-I. This expands the company's portfolio by two pumps that could not be any more different: While the PRO-III series can generate up to 6200 bar water pressure with its intensifier and can also handle the most challenging applications using its special technical equipment, the less expensive model TL-1 pump with its economical direct drive is positioned more as an entry-level model or as a supplier of high-pressure for simple cutting jobs. Thus, with their comprehensive product range in the field of high-pressure technology, KMT can offer the right solution for every requirement. The STREAMLINE PRO-III pump model can uniquely establish itself at the top of the performance spectrum when it comes to waterjet cutting. The high-performance machine facilitates cutting with up to 6200 bar, and especially the model with 125 PS (93 kW) represents the strongest combination of motor output and water pressure industry-wide. The STREAMLINE PRO-III allows their users to operate two cutting heads with a jet diameter of up to 0.28 mm in parallel. Of course, this doubles the productivity, since two workpieces can be cut in parallel using it. Expressed in concrete numbers: A waterjet cutting system running with a STREAMLINE PRO-III 125 pump cuts a 3 cm stainless steel plate with average cutting quality at a speed of 110 mm/min – and that is with two workpieces simultaneously. If a pump is run in the lower pressure range, such values are not achievable despite using larger jets. As a comparison: A pump with 100 PS (74 kW) enables a maximum jet size of 0.35 mm at 3800 bar in two-head operation. Using optimum abrasives, the cutting speed with the same material and same cutting quality is maximum 71.5 mm/min. Thus it is over 50% slower than the machine with 6000 bar. This not only saves time, but also material usage: Based on the given example, one meter cutting distance results in an abrasive consumption of 14.5 kg (with PRO-III application) or 30.8 kg (for application with 3800 bar) – a significant savings of 53%. However, assuming that the strong performance is at the expense of the reliability or the wear parts is an error: Through an optimised and patented technology in the high-pressure seal of the intensifier, KMT is in the position to guarantee 500 hours for these highly stressed components with the purchase of a new high pressure pump. The new SUPRAlife seal, due to its design, provides the service life that you are looking for in this pressure range. Therefore, waterjet cutting at 6200 bar is considerably more efficient, since it actually extends the production time due to the new durable components. Some customers are already enjoying this new generation of high pressure pumps and up until now can only report positively. 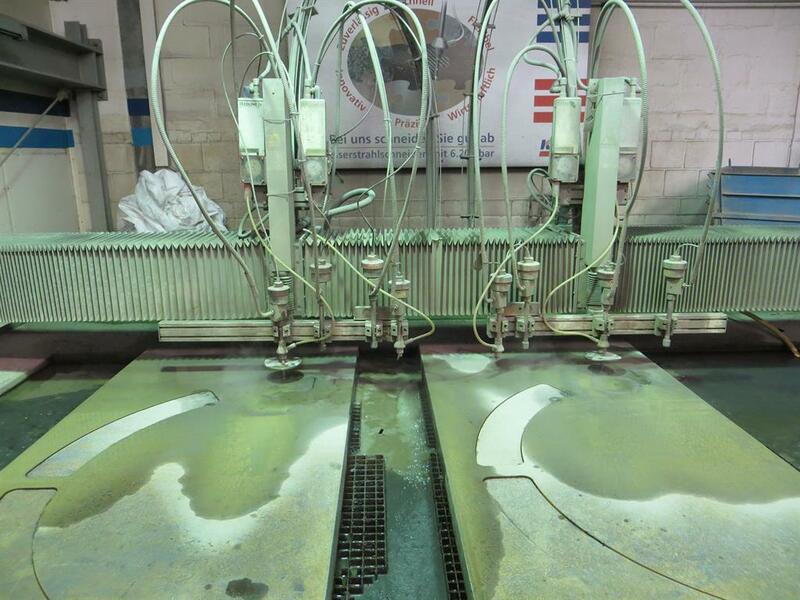 Maximum Industries - KMT PRO-III 90,000PSI WATERJET CUTTING. At the other end of the performance spectrum, the TRILINE TL-I 30 pump type is an economical entry-level model in the world of waterjet cutting. This high pressure pump is based on a direct drive, not as usual for KMT. Here, an electric motor drives three camshaft-driven pistons via an easy to service V-belt pulley drive system, which in turn generates the high pressure water stream. The pistons work phase-shifted by 120°, so that the pressure signal is very constant even without pressure accumulators. In addition, the direct force transfer ensures a relative high efficiency of up to 85%. Thus, compared to an intensifier pump, this drive concept requires no additional hydraulic circuit and is characterised in this by quieter operation and a smaller footprint for the machine. Naturally, the question arises as to how the two drive concepts are different – or even more important, which concept is best suited for which concept, and one thing is clear: Both pump types have their reason for existence. An indisputable advantage of the intensifier pumps is the maximum pressure range of up to 6200 bar. A direct drive pump cannot get up to this volume and therefore the intensifier must be the first choice for all users that want to cut especially thick or hard materials, such as titanium or thick concrete plates. 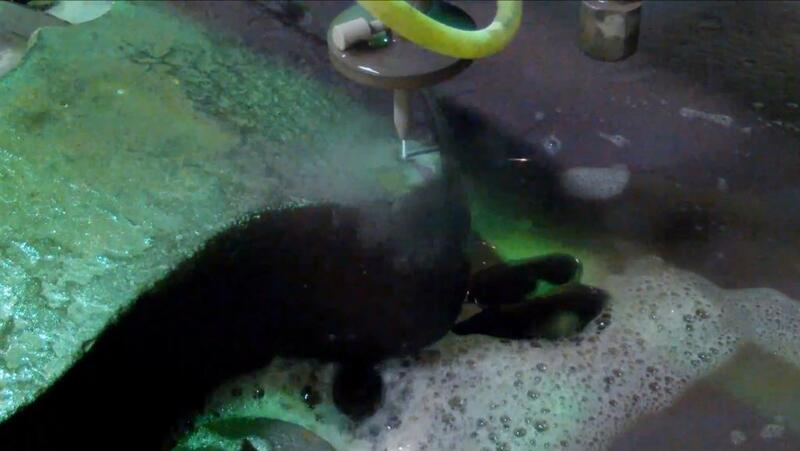 Even if the waterjet cutting machine is designed for high loads – e.g. in demanding multi-shift operations – a model with intensifier offers more, since this technology is more durable and the components last longer. And as soon as the high pressure pumps are connected to a network, the direct drive pump is completely out, since this technology does not allow for this type of connection. Lastly, it should be mentioned that the use of the intensifier technology is also recommended in cases in which the cutting process includes high switching cycles. That is mainly the case with pure water applications, when many individual parts should be produced with high cutting speed, such as when cutting rubber seals or applications in the food industry. Here, the user of an intensifier pump profits in that the water pressure is maintained even with a closed valve and thus can be directly released again when the valve is opened. KMT Waterjet Cutting "Hardox" Steel at 5,400 bar. In contrast to this, high switching time with direct drive leads to increased signs of wear, since this technology is characterised by a continuous water flow, which must be diverted with a closed cutting valve. The more often such diversion is required, the more the pressure control valve is stressed. 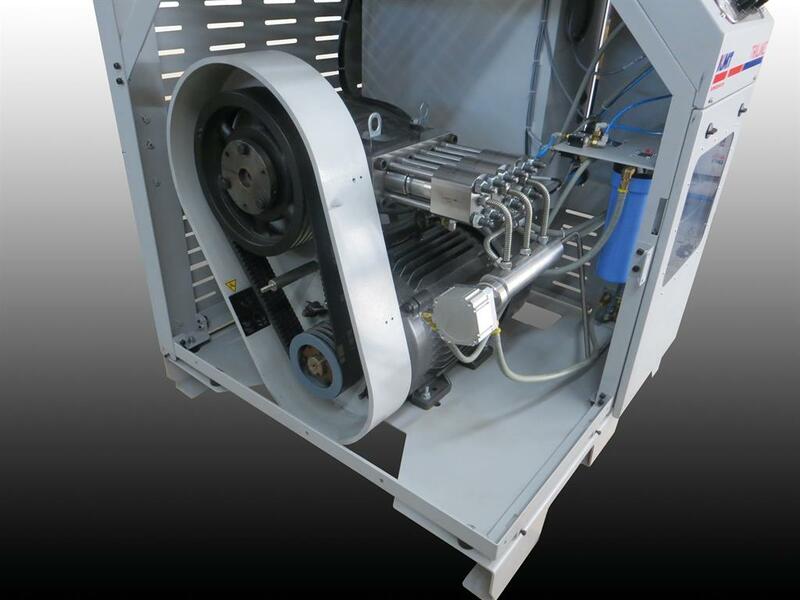 Thus the direct drive pump can exploit their strengths even better with continuous cutting processes: The high efficiency of the pump increases the more the connected waterjet cutting system works without interruptions. For this reason, the TL-I model is better suited for abrasive applications: Compared to pure water applications the cutting speeds here are mainly lower, which also has the effect of a lower number of cutting cycles. Furthermore, the lower minimum pressure of a direct drive pump is an advantage with the processing of brittle or multi-layer materials: Since the TRILINE pumps can take the operating pressure down to a minimum of 100 bar, there is a lower risk of the material breaking when inserting into materials such as glass or ceramic and for multi-layer materials the risk of delamination decreases. And as already mentioned, the TRILINE pumps are very well suited as an entry-level model due to their low initial investment and to use for less demanding or smaller applications, in which the low connected load or the small space requirement of the pump plays a role. This is often the case in smaller custom cutting operations or manufacturing operations which only occasionally use their waterjet cutting systems. 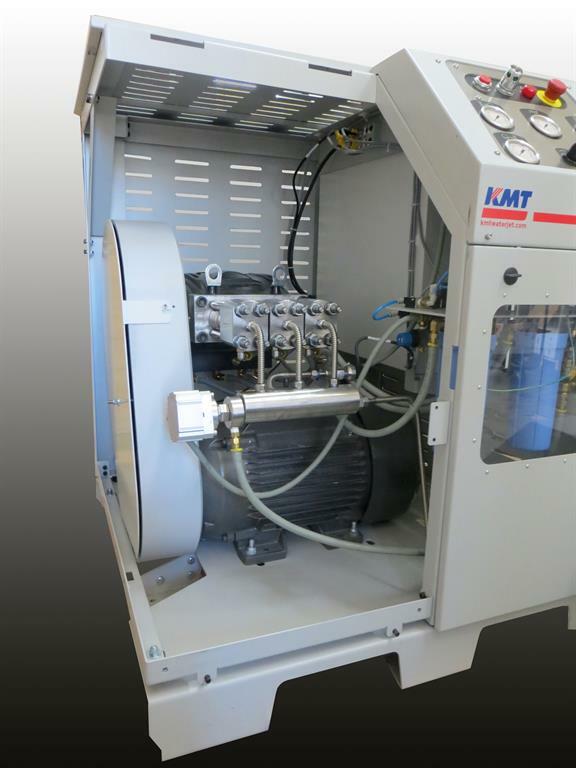 This demonstrates that KMT Waterjet Systems not only offers the most efficient high pressure pumps of the entire industry, but also offers a solution for newcomers – and naturally also a broad spectrum of products between these two extremes. This stretches from high pressure pumps, which can be completely integrated into a turnkey total system, to pumps for autonomous operation with occasional use, up to highly developed machines for demanding cutting applications in multi-shift operations. A lot has happened in the course of a year in the KMT external office in Lyon, France: There were several new personnel changes in already existing positions and at the same time, a new employee for the Aftermarket and Abrasive Sand area was hired. 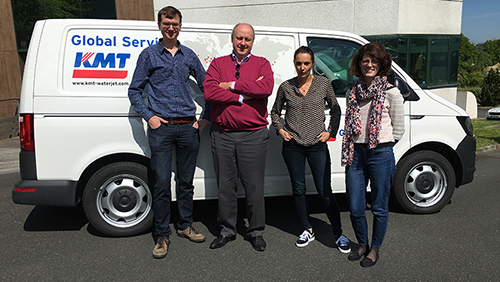 In addition, since autumn 2016, the France office has been equipped with a service vehicle, which allows service technicians to be much more flexible with customer requests for their service and repair work. Furthermore, KMT has expanded the area of responsibility of the French office to include the markets of the Netherlands and Luxembourg in the scope of restructuring the sales territories. The first in a series of new employees was already started in February 2016 with Martin Corson, who was hired as a service technician. He has had a fully equipped service vehicle since autumn 2016. This is fitted with numerous tools and spare parts for all common and many special repair and service jobs. As a result, Martin Corson is prepared for every possibility and can quickly and flexibly help his customers. 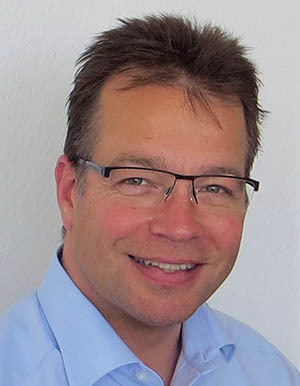 In August 2016, Philippe Bosselut was added as Area Manager and further support came in September with Claire Kuhn as an assistant. Philippe Bosselut can look back on over 30 years of experience in mechanical engineering. This puts him in the position to comprehensively and competently advise his customers. 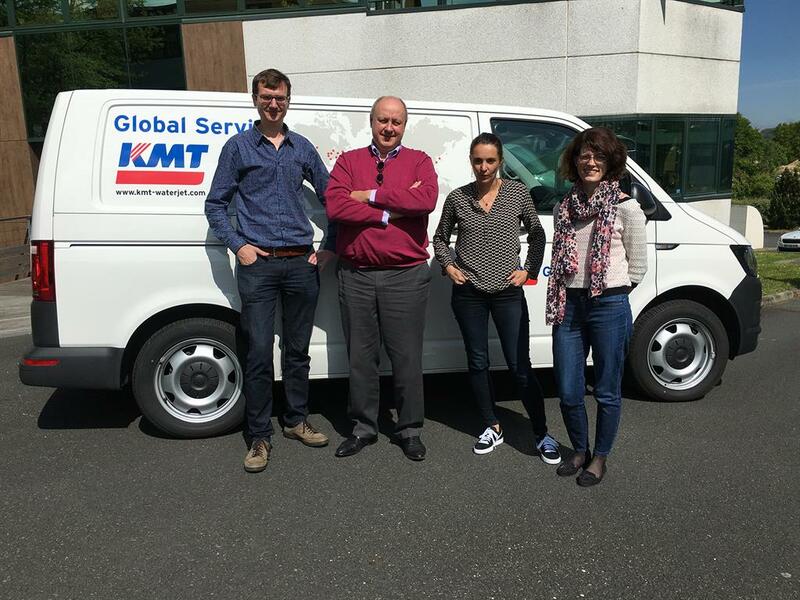 Together, Philippe Bosselut and Claire Kuhn ensure that KMT customers in France and the Benelux are always in good hands. The last expansion of the team in Lyon for the present is Catherine Pellotier, who has worked for KMT since October 2016. She is responsible for the Aftermarket area and sales of abrasive sand and has several years of experience in this area. All employees of KMT France SARL are pleased to be available to the customers at the contact data given below. Registration of the KMT headquarters for Europe, Africa, Middle East and India as "known consignor"